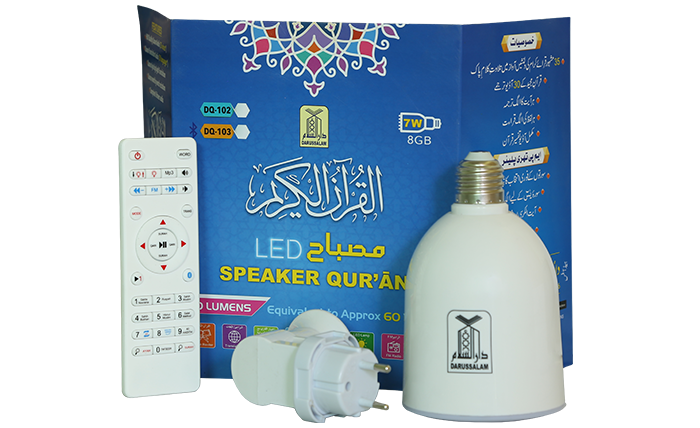 The LED Speaker Quran Lamp is a product for Muslims using, which is with double function (lighting and learning). 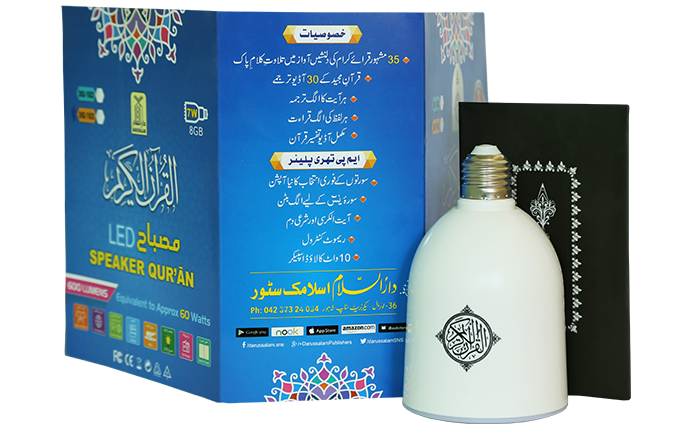 It is a lamp with full recitation of The Noble Quran, using remote control to select Quranic audio and listen to the Quran with voice. 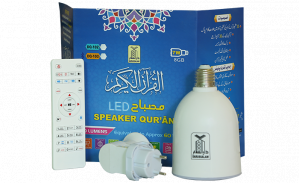 With LED Speaker Quran Lamp in the room is a way to learn Quran with your family, with LED Speaker Quran Lamp in the Mosque is a way to learn Quran with Muslim people together. Playing any Quran surah by pressing button on remote. Playing Quran audio word by word. 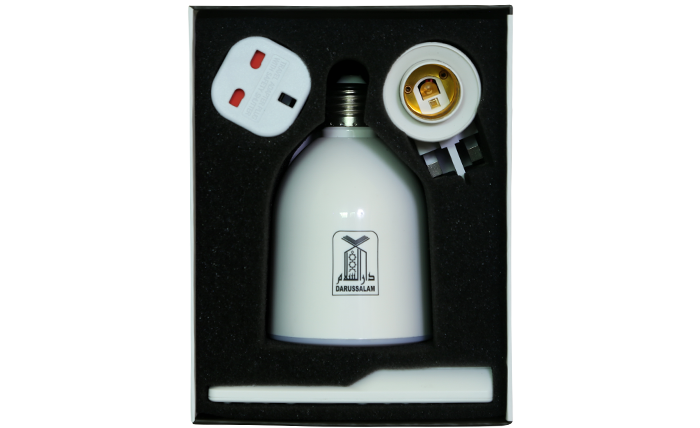 Combine and Single mode option.For listening Quran audio and any translation together, please press the MODE button, for single mode, press again. 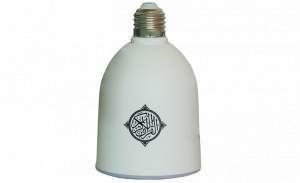 Select the surah or Qari/Reciter from the remote control of your choice. 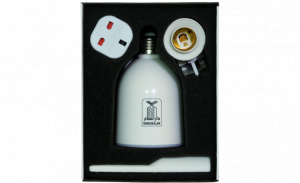 Can choose Quran with or without translation by pressing the mode button, or start listening. Quran word by word to understand Quran by easily. 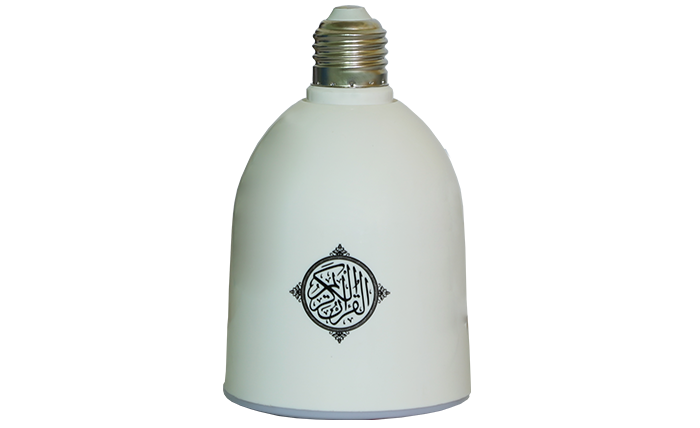 Combine feature allows you to select your preferred Qari/Reciters with your selective translation then you can listen Arabic Telawah and translation at the same time. Great job done and good future for religion resources & informations.